EPS Lotion Bottles are available in 9 sizes --- from 7 mL to 960 mL. 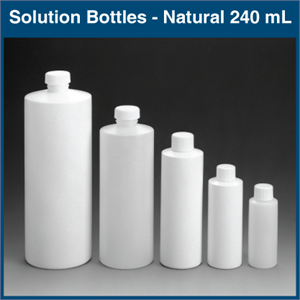 The bottle’s special flip-up Spout-Seal top directs the flow of solutions directly where you need it. 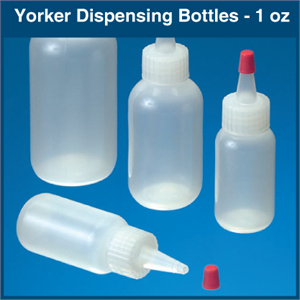 The bottle's are translucent so you can immediately detect fluid levels. 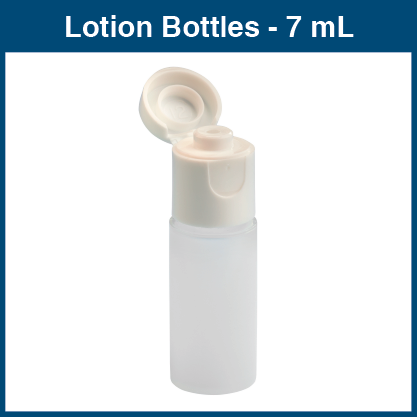 Manufactured from a low-density polyethylene, EPS Lotion Bottles are ideal for body lotions, alcohol, cleaning solutions, surgical soaps, mouthwashes, etc.